If you’ve ever had to work on video project, the wealth of options can be frustrating. Software like Adobe’s Premiere and After Effects are both industry standards, but they’re expensive and the learning curve can be daunting. Project Rush is Adobe’s attempt to combine the best features of its professional production software into one app. You can capture edit video like Premiere, add motion graphics and special effects like After Effects, or master audio like Audition. It can also integrate Adobe Stock so you always have access to free templates to work with and you can share to social media platforms straight from the app. But perhaps most importantly, you can sync your work to the cloud so you can seamlessly transition your video work from your laptop to your phone to your desktop. 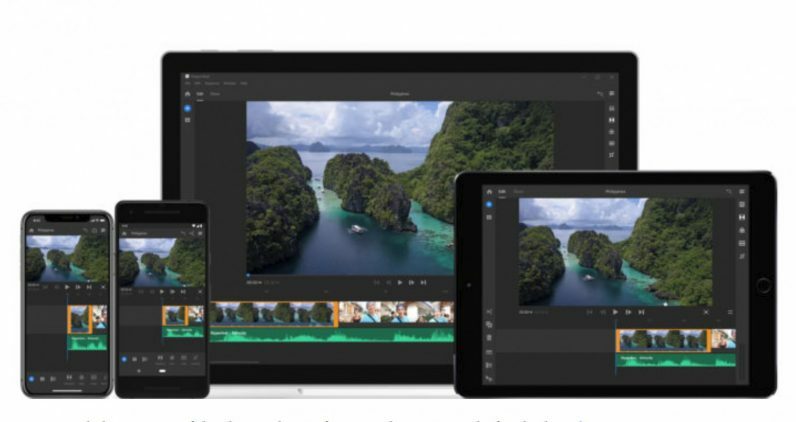 Adobe’s goal is to simplify video making for content creators like YouTubers who are expected to upload videos weekly or even daily. And as someone who often edits photos on my phone in Lightroom, I can’t begin to tell you how useful that can be. (On a related note: Adobe just updated Lightroom CC with profile and preset syncing). I wouldn’t expect the app quite as powerful as any of the apps that inspired it, but it just needs to be good enough. Unfortunately, Adobe is providing little on specifics for Rush, like pricing or a firm release date. For now, the company says Project Rush will be released later this year – during Adobe Max in October seems likely – but you can apply for the beta now.